CLICK HERE! 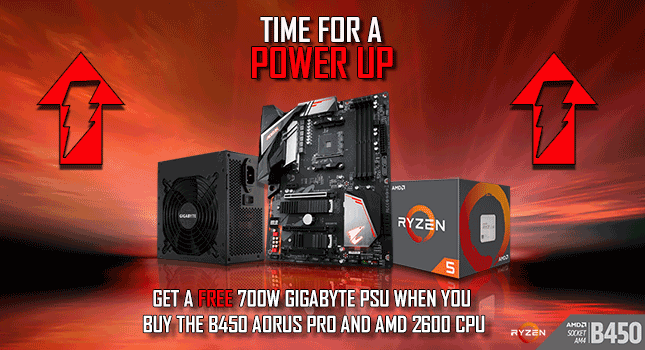 To add the AMD Ryzen 5 2600 CPU to your order - and get your 700W PSU Absolutely FREE! * Digital LEDs are available only on select Motherboards, external LED Strips, Digital LED Strips are not included with Motherboard purchase.